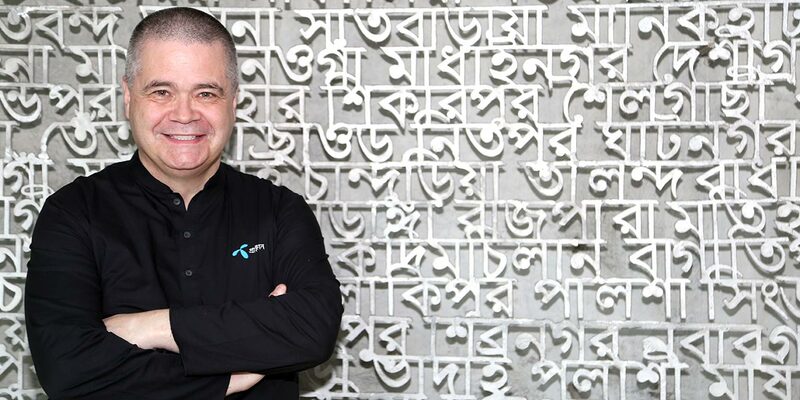 Appointed last year as the CEO of Grameenphone, Michael Foley has been with Telenor Group for the past four years. During this period Foley served as the CEO of Telenor Bulgaria and as CEO of Telenor Pakistan. 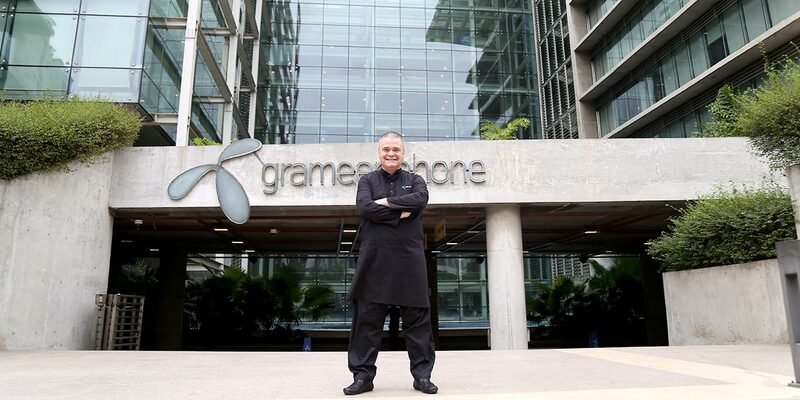 With over 30 years of experience in sales, marketing and operations in the telecom, retail and gaming sectors, Foley’s appointment reaffirms that Grameenphone, or as it is often abbreviated – GP will continue to claim its top position in the country’s telecom sector and go beyond. Fintech spoke with Michael Foley at the GP headquarters to know what’s ahead for the telecom giant. FINTECH: I wanted to start by asking you about your experience of working in Bulgaria, and in Pakistan. How the markets there are different from Bangladesh? I spent a longer period, a big part of my career, in Africa; in Kenya and Tanzania. There are two things I found quite remarkable; people are much more alike than we think they are across all markets, especially young people. Young people are part of a global culture to some extent. The interest of young people in the Internet makes them a community like never before and they exchange with each other more than ever before; not only on an individual level but on a culture-to-culture level. A young person in a village in Kenya wants the same things as a young person in Dhaka or Toronto or in Oslo. They want to be connected with the rest of the world, they want to be able to act, transact and interact; act on their environment, transact with each other. Those three things are critically important for them. The things that I see different only have to do with socio-economic ability for them to actually do those things – to act, interact and transact using the Internet. But they all want the same thing; they want to be able to buy online, they want to be able to connect online, they want to do it safely. They are very smart, very savvy at a very young age. So, I think for me the epiphany or the most important thing was the realization very quickly that however you adapt messages and messaging and tools, the end result was the same. People wanted that high quality service, a variety of services and they want the same things everywhere, they want to be able to shop online. Let me give you an example, I met 10 young girls at the Rohingya camps here in Cox’s Bazar, you know what they said to me when I asked them what is it that they want? They said, first we would like to go home one day. Secondly, I want to be able to help my mom. Thirdly, what they want, they said I want to chat with my friends, get make-up and clothes. This is the most destitute of the population we can find, they wanted the same things. And there too in northern Kenya where I visited a number of years ago when we started Internet for the first time, they had a TV set, and they had a satellite dish in a village 100 kilometers from the Somali border in Kenya. I had an iPad and we turned on Wi-Fi in the village, the children there, when they saw I had a phone, came running. They wanted to send emails to friends in New York, they wanted to see what their friends in Nairobi were doing, they knew exactly how to use the technology even if they were living in a semi-nomadic village 100 kilometers from the border of Kenya. So for me, it is more about what we have in common than the differences. FINTECH: So how this globalization of the globe, you might even say homogenizing, affects industries across the world or in Bangladesh for a company like Telenor? I wouldn’t call homogenization, the needs are the same but they are expressed in different ways. You have to approach it in different ways. So the internet is not just a question of the world being projected upon you but it is also an opportunity for you to project yourself on the world, and people do see it that way. For companies, it is important to understand a number of things. While you want to have standardized operations across the board, across the globe in some cases; you have to be respectful of the local conditions, the local population, the local culture, and the local customs. Smart organizations learn how to achieve both, what needs to be centralized and standardized and developed at the center for scale, but also to be able to localize and personalize and create individual relationships with consumers in their markets. That’s difficult, but a good example of that might be a soap company with a firm relation around the world but different packaging in each markets. It is the same thing with data services or anything else that we do. If we sell voice or data services, we essentially sell the same service in the Kingdom of Norway as in the Republic of Bangladesh, it is the same product, it’s minutes and megabytes. How we do that is different and you have to adapt to the local market place to be able to do that. FINTECH: Part of the change obviously in the digital era is automation and digitalization of things. How service oriented industries in Bangladesh are adapting to these changes? We are the engine upon which the fourth industrial revolution happens. The fourth industrial revolution is deeply dependent on the telecommunications network in order to be able to realize itself. Just like the third one had to do with electronics, the second one was about roads and cars and those kinds of things. We are at the very core of this particular issue. The challenge here is workers, and it is not about respect for workers, the challenge for workers is not about getting fair wages or something, that’s happening in time, it’s about relevance. So, the problem is not oppression or the risk of oppression in the future, the problem is about the risk of relevance. You won’t be oppressed if you are not needed. For our organization, we think about automation, we think about the fourth industrial revolution, we need to continuously incite our workers, our employees to re-train themselves, become better and better at what they do. So, for example, in order to help people prepare, we had a wide library of online courses from major universities from Coursera, from Lynda and from a number of different other sources. And everybody has to complete 40 hours of training this year, and we pay for it, and we give working hours to do it, and we will likely do it next year. Why? Because of the challenges that we face, because of the challenges workers face about becoming irrelevant. The only way we can preserve the workforce that is helpful and engaged by helping them stay relevant. FINTECH: So what kind of digital services Grameenphone has brought that created disruption within Bangladesh and in your views which ones are the most significant? The things that are happening most right now that have changed fundamentally in our business, in January 2017, we had 140,000 calls per day to the call centre, that’s epic, that’s massive, that’s impossible to manage and it is bad service. So, when we start looking at how we disrupt our own business, we look at a number of different vectors but the main one is simplification. Either you look at every process that’s facing a customer inside your business, the vector customer, you either eliminate it or simplify it, and if you simplify you digitize. So, last year and this year, we took 20 top customer facing processes such as, how to replace this set, how to get your balance, how to pay your international roaming account, and how to get it reimbursed, for example and we simplified all of them and automated every one of them so much that we could put them on an online app. The calls to the call centre are down below 40,000, mostly 30,000, and complaints have gone down from 40,000 a day to 3,000 a day. So the idea here is when you are looking at this kind of automation and process, first simplification, then elimination then automation of the tools. That is critically important for us. If we do that properly, we make our service so much simpler to use and it is much more attractive, and that’s the key benefit for us. We have a fantastic network that works really well and it is the preferred network. But that’s not the competitive advantage. The competitive advantage is our corporate culture and the constant strategy over the last 22 years. Right now that strategy is about simplifying our product. How many times have you called WhatsApp’s customer care line? Do you know where to find it? Do you need to call them? Not really. It is a very simple product. We are not going to have that level of simplicity but the simpler you are, the happier customers are, the easier for them to buy and that applies across all industries. FINTECH: In Bangladesh there’s a big demographic dividend, these are mainly millennials. How do you see that evolving or impacting the industry? There are two sides to that coin. It is an incredibly young demographic coming up through the population pyramid. There has been good control over birth rates in this country versus other countries in South Asia. But that bulge, if we manage it properly, is a fantastic asset and it is a dividend for us. If we don’t do it properly, it’s a bit of a time bomb. So, right now we have four and a half million women who work in the garment industry. Those jobs are solid, they are skilled but they are not invulnerable to competition. Competition is coming from alternate distribution methods, automation, and Africa in particular, where there is a lot of development in this area. Young people are moving into the ICT industry and we have to find meaningful work for them and many of them are developing by themselves through entrepreneurship and innovation. We work very hard in that area not only to build the ecosystem but to change our own company by helping exposing these entrepreneurs. But if we don’t do a good job at this over the next decade, as this population bulge comes up into the population pyramid, we are going to end up with a challenge. There is a concerted, well organised, thoughtful effort being executed by the government of Bangladesh to actually create work and jobs of value in this area in the ICT sector. And we are at the very core of that particular effort because as we launch for 4G, 5G eventually around the corner, those are the engines upon which those jobs will run. FINTECH: Speaking of those concerted efforts to facilitate startups, tech startups more importantly, there are many problems; one of the problems is obviously Bangladesh doesn’t have a developed VC culture. What are your thoughts on that? What role does the GP Accelerator play? The Accelerator program is important to us for a number of reasons. It helps create an ecosystem. It creates an ecosystem of entrepreneurship; it is a catalyst for that. It is not quite true that there is no movement in the area of providing venture capital structures in this country. It’s not developed as well as it should be and it’s far from being where we want it to be. But there are now angel investor groups being organized very specifically and I think that’s important. There is also a law that has been passed to allow for the creation of a small cap market at the Dhaka Stock Exchange. Those kinds of capital market structures for entrepreneurship and for investment in small cap businesses are really critically important in order to give hope to those people who actually want to run their own businesses. There has to be an exit for early investors, like a small cap market or maybe something like that; and there has to be kind of angel investor groups or financing groups before these markets are put in place. It’s starting to happen, Bangladesh is attracting a lot of attention and I have to say with some small pride, but humbly, that Grameenphone has played a very important role in being a hub for entrepreneurship, innovation and new business creation in the country. The most fun we have is when we have these events here. And we do it also for one other very selfish reason that I think is important; we are a big phone company, we need to be a very agile phone company and so, having entrepreneurs close to us, they infect us with the way they do things, they make us believe that we can actually be nimble and change. And it helps us build skill sets within the organization to show that we can actually do small tests, we can operate with greater agility and we are learning to do that much more effectively. We see that in our products like Bioscope or My GP or with some of the things we are doing internally. With Tonic, which is our healthcare product, we have been pivoting left and right to get the right business model. So that’s a fundamental change, even in our core business we now look at being more nimble, and we even look at our engineering, which was very staid, to make it much more nimble and agile as we develop new services across the country. FINTECH: How long do you think it would take for the Bangladeshi market to grow into an ecosystem like that of developed countries? I think when we reach maturity we will look very different to what maturity looks like today. Maturity today is the artifact of the last 10 years. Employment models will change, the way we interact with consumers will change. If the past is the guarantor of the future, we will skip technologies. Like we broadly skipped the fixed line here because there was fixed line in the West, we didn’t really develop fixed line that much in South Asia or here in Bangladesh. We now have 120 million people with mobile lines in this country or 120 million mobile lines in this country, that is a skipping of a whole copper technology that the West used. The internet will be adopted much faster here. If you look next door to Myanmar, 80 percent of the handsets in the market are already smartphones and most of the clients are on 4G already. That’s what going to happen here. It’s going to be faster, quicker, and not surprisingly the business models will be completely different. So, I would continue pushing ahead what we are doing because we are involved in a Bangladeshi model that will be proper for Bangladesh, which would be different than India, different than other markets and it will be I think quite successful. FINTECH: There has been a huge penetration by MFS and reached un-banked population and obviously you are very much part of this. How does that impact your business? Well, in Bangladesh unfortunately we are not allowed to own a financial service license, which is frankly, outrageous because mobile financial services and financial inclusion have not happened anywhere in the world without the active involvement of the capital and heft of the mobile operators. So, there has been kind of a challenge here getting ourselves engaged in the ecosystem in a way we can be most proactive. And that’s not saying we want to be like Kenya, we want to be like Pakistan or we want to be like what happens in other parts of the world. But there are much greater impacts that we can bring to the market place if we were allowed to play a full role here. Maybe the banks are concerned about us, but for us, we don’t see ourselves as competitors of banks, we see us as enablers. If you look at the actual active mobile financial service customers in this country versus the size of the active population that will be eligible for it, it’s still a small fraction, it’s not that big. So, this market is being a little bit hamstrung by regulatory issues. It needs to be freed up, there’s plenty of room for a number of players. If you remember the UN millennium goals, in the millennium goals, the single most effective way to raise people out of abject poverty was to give them the agency and the financial structures of the country, to give them an opportunity to transact, to save money, to borrow and to create commerce. When you give that to somebody, when you give them an account then in fact you give them agency and economy of the country. We are not doing that fast enough here. Honestly, across all the topics you talked about, we look at ourselves and we are very happy that we are really improving well across a lot of these areas. But we are not improving fast enough and we are not catching up because the bar is being raised everywhere around the world, so we really need to be critical about how we approach fourth industrial revolution, digitization, new job models, innovation and transformation of businesses and business models, taxation, international trade. Because right now, in ease of doing business and attracting foreign capital, we are doing well but we are not necessarily catching up. FINTECH: There has been some reports on migration from networks in some Bengali newspapers, the reports have been that migration rate from Grameenphone has been the highest. We have lost 1,400 clients in one week, but in the same week we have acquired over 70,000 customers. Mobile Network Portability is a rounding error on a rounding error, it is a necessity to provide people to have choice, but if you really want to change operators, you don’t go through a six-step process, you go buy another SIM. We don’t see this as a major issue, we focus now on acquiring customers, quality customers that are going be with us for a long time. If somebody wants to leave us, we will make it as easy as possible, and on the way out we will say we will be happy to welcome you back. 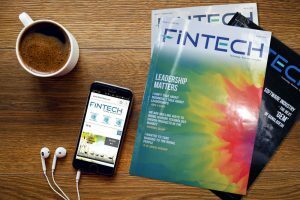 FINTECH: And what is your thought on uniform tariff? I think it was something in the wind for a long time, when you do MNP, it is little bit a part of the story, to say that people need to be able to call off-net, they won’t know from the phone number if they are off-net or on-net when you have got these things moving around and you have a whole bunch of different number range showing up. So, this is something that was generally expected, it is not a hugely material challenge for us, it existed in many other markets. The rate is at a level which we think is acceptable for the industry. So, it’s not a big deal, it is just something that we go on and manage, we have been in the business for a long time, We have been in this market for 22 years so we have to just see it as just another day.